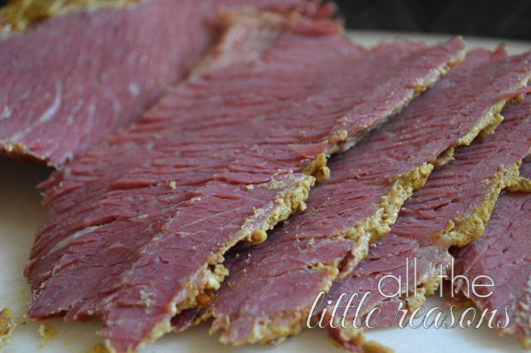 I used to work at an Irish Pub and really learned to love corned beef. I have some family favorites that we use for St. Patrick’s Day. While I have shared them separately on the blog previously, I thought I’d put them together for an easy St. Patty’s Day post. Enjoy! This is the basis of both of the following recipes. It’s for a perfect corned beef. You’ll find the recipe here.